Capacitech (Cohort 3) utilizes nanoscale materials to develop a coaxial cable with supercapacitors. 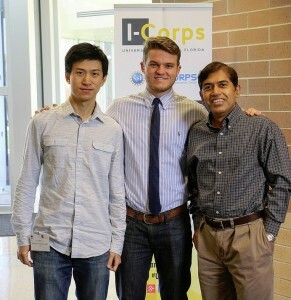 Pictured from left to right: UCF PhD student Chao Li and undergraduate student Joe Sleppy (Entrepreneurial Team Leads); Dr. Jayan Thomas, UCF Nanoscience Technology Center (Academic Team Leader). Not pictured: Dr. Greg Howes, President & CEO of Treaty Consulting Group, (Team Mentor). The I-Corps program provides aspiring entrepreneurs with an immersive, hands-on curriculum designed to teach them how to test their ideas, gauge feasibility, understand consumer demand, examine competition and develop mutually beneficial partnerships to help transition their ideas into profitable enterprises. Experienced advisors and mentors oversee the teams and coach them toward success. I-Corps program and SBIR/STTR grant funding. Teams are also able to tap into the entrepreneurial ecosystem within UCF and the community. UCF’s nationally certified teaching team is comprised of a diverse mix of experienced entrepreneurs, investors and UCF faculty including Thomas O’Neal, Oscar Rodriguez, Michael O’Donnell, Cameron Ford, Ivan Garibay and David Metcalf. 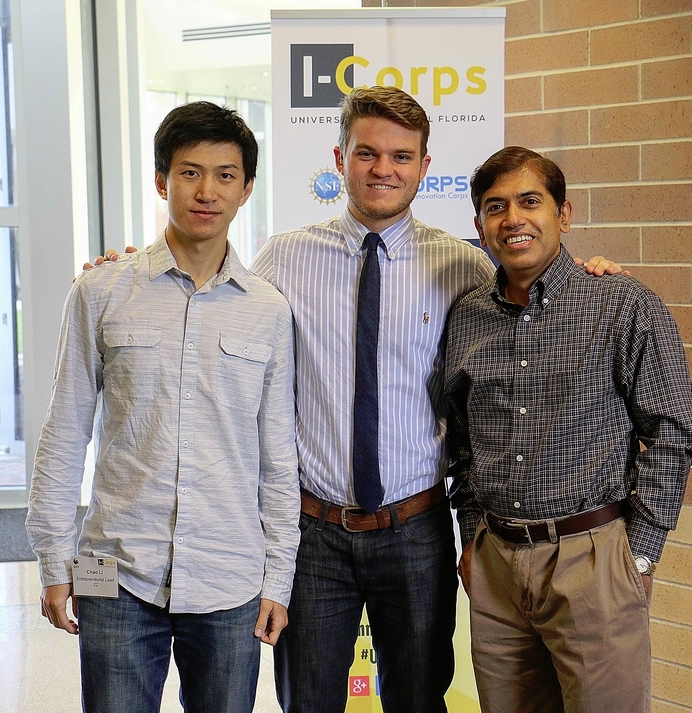 The UCF I-Corps teaching team earned its certification via the training and support of Jerry Engel, a professor at Berkeley (University of California), National Faculty Director of the NSF I-Corps program and co-creator of the Lean Launchpad methodology and curriculum. For more information, please contact Vanessa Zabala at vz@ucf.edu.